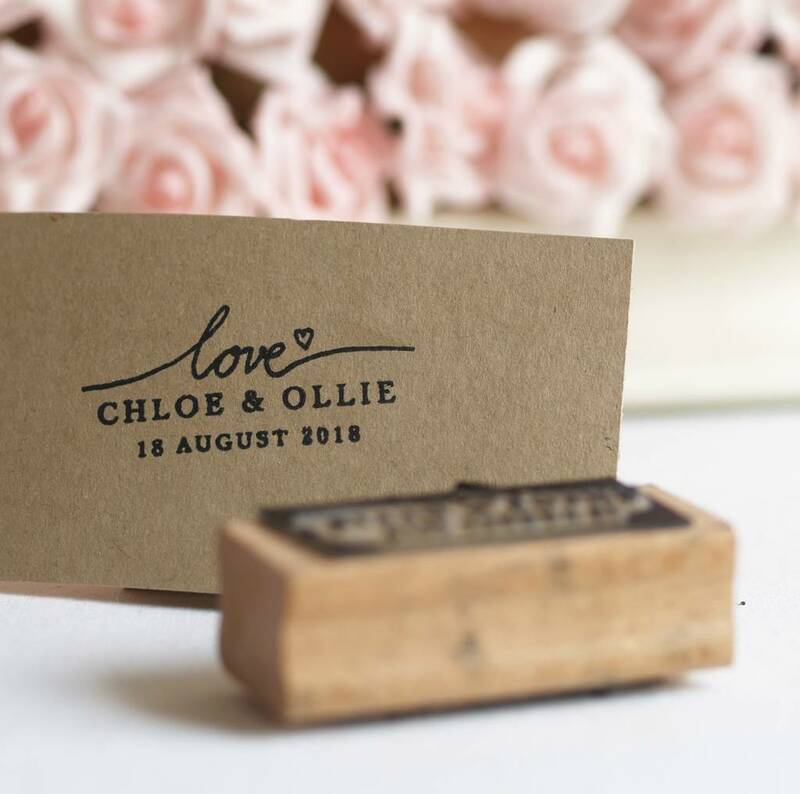 Wedding Favour Personalised Love Rubber Stamp with your choice of names and date. 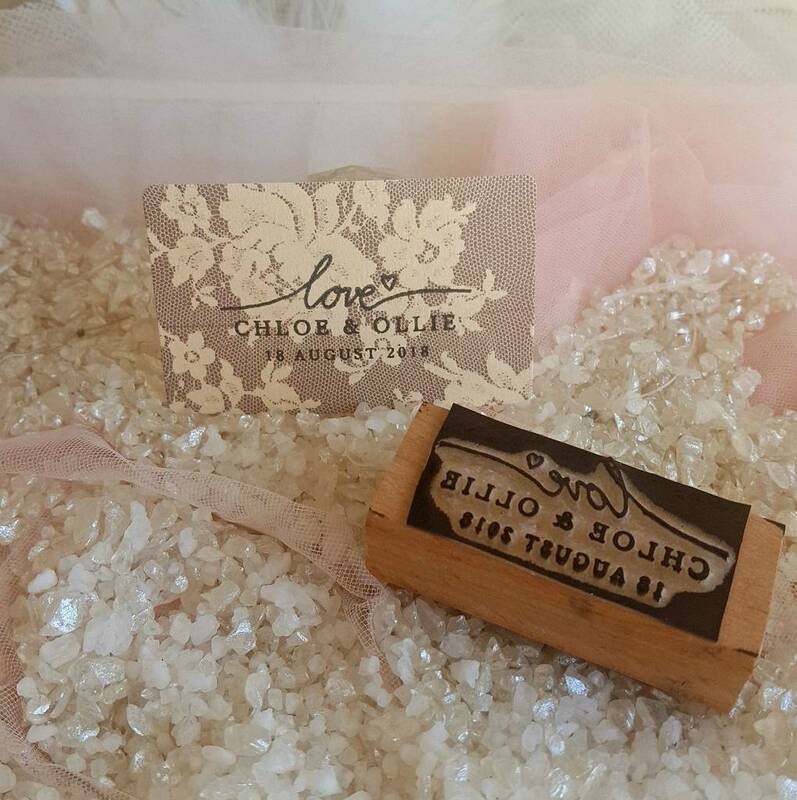 This personalised rubber stamp is ideal to decorate and label your wedding and parties favours. The stamps read 'love' with this fancy cute writing, decorated with a mini heart with name/s and date (optional) below. We recommend you stamp from above to get an even finish. 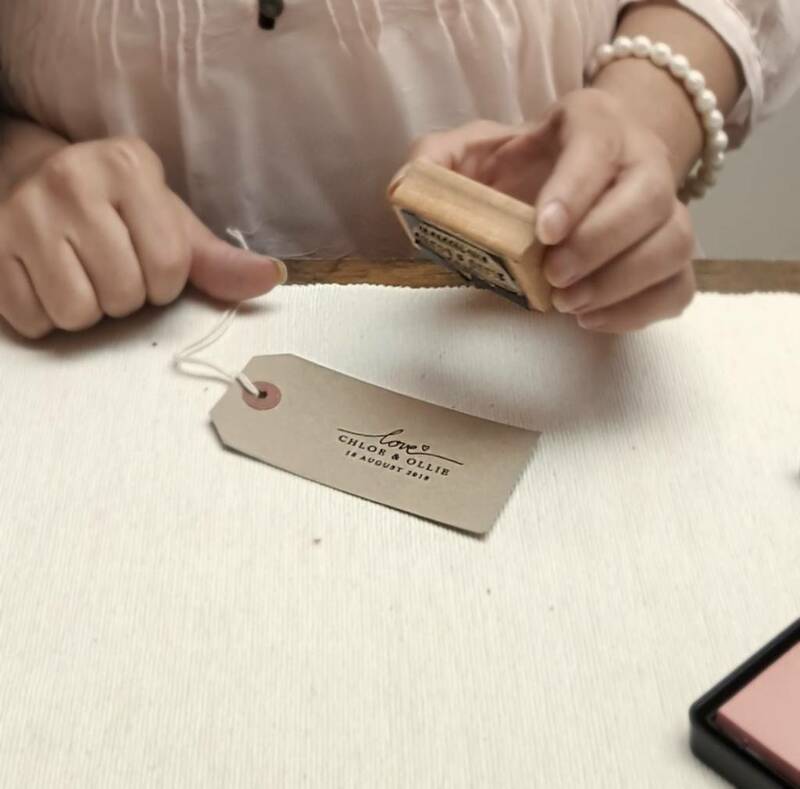 As you lift the stamp always loosen paper or card at the same time to avoid smudging. The dye is cut around the artwork so may not have straight edges. Also, the block may be bigger than the artwork. 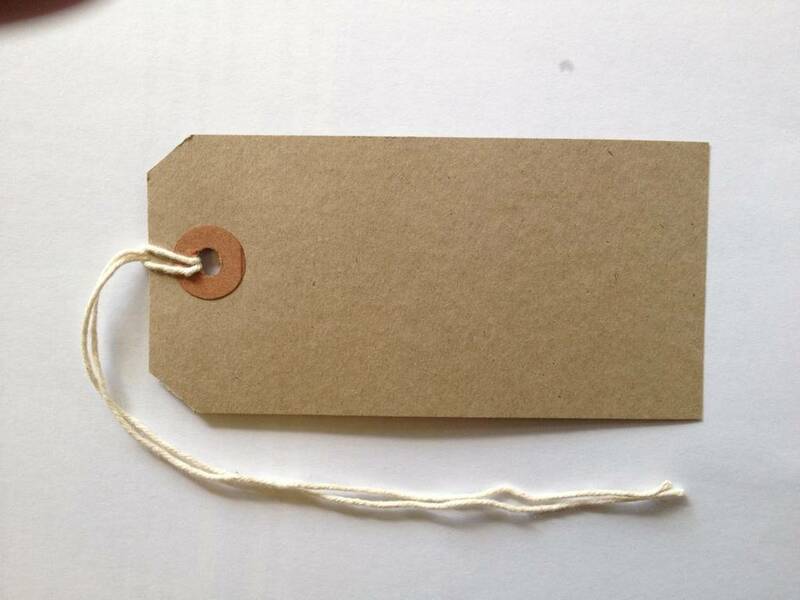 The size of the brown manila tags is 10cm x 5cm, available to add to your order from the drop-down menu. 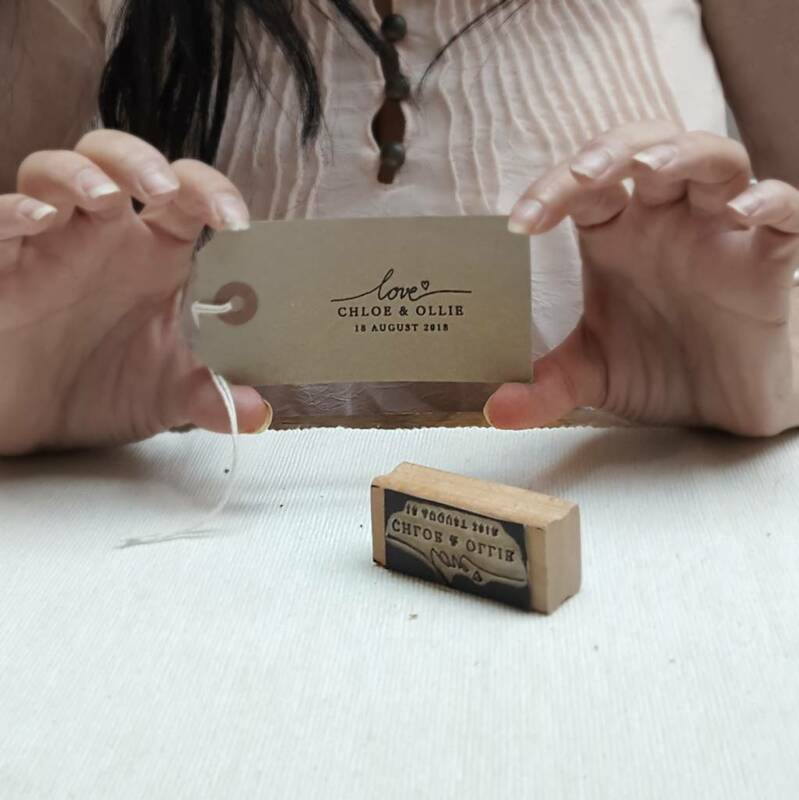 Rubber stamp mounted onto a wooden block.